Moving out or in is sometimes nice, but sometimes is a long process of doing some extra activities. Think about cleaning this whole place by yourself. You would do your best and you will somehow end up in forgetting something or not doing it right. The best option is to find a cleaning company that offers End of Tenancy Cleaning Services. If your old place was anywhere near the peaceful Bishops Park, or you had an amazing view of the river Thames and the process of leaving is hard for you, we can help you smile for at least one reason – our End of Tenancy Cleaning Services. We operate in London, and more precisely in the area of Fulham. 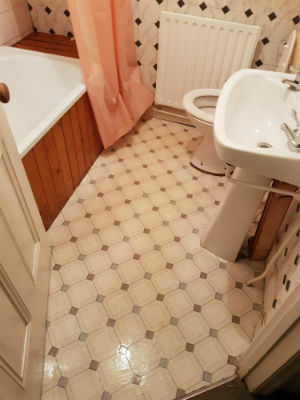 The one thing that we can guarantee you is that you will be impressed with our Professional Cleaning Services and you will have no problems with the proprietor of your home in Fulham. Throughout the years we learned that helping people is essential, not only for our job, but as human beings. That’s why we want to do as much good as we possibly can. We, at Tidy Cleaning London, specialize in the cleaning area of business and we are glad that we can help anyone who wants, anyway we can. That is why we offer various Cleaning Services. We know that not all people are always aware of the proper way to clean their homes, so we learned how to do it perfectly. If you are soon to be leaving your current home, it’s better for you to find a professional cleaning company, that can do the End of Tenancy Cleaning for you. You have a lot of alternatives, but we can’t simply let you choose someone not good as us. Here, we will briefly present to you our End of Tenancy Cleaning Service, and after that it’s your decision when it comes to become our clients or not. Are we really what you are looking for? Absolutely! For years we’ve been dealing with cleaning in Fulham, Hanwell and Notting Hill and we’ve been at so many different buildings, houses and properties, that we know more than we actually realise. We have thousands of hours of cleaning behind our backs, therefore we are absolutely fearless, when we receive a new task. Our End of Tenancy Cleaning Service, gives us the chance to help anyone who has some trouble with cleaning, or those who want perfect results in order to get the full refund of their deposit back. One thing we know for sure is that we are absolutely prepared to deliver the best results, in every case. We work with professional cleaners that are perfectly aware of their actions when cleaning a certain place. They are experienced in the cleaning area, and they have in disposal the best up-to-date machines and environmentally friendly products to help them reach perfection. Another plus for our company is that no matter where in Fulham exactly your address is, we will come precisely at the arranged hour and we will roll up our sleeves and get to work. That is probably the easiest question. Our end of tenancy services include cleaning from the windows, floors, furniture and walls (if there are any removable stains present) to every shelve and door handle. We are proud to tell you that Professional Oven Cleaning is also included in our End of Tenancy Services, because we know this is an essential part of the cleaning of a kitchen. We strive to reach the final goal of perfection. For that, also, help our prices. We are the most reliable cleaning company, when it comes to efficient results, and we have the most tempting prices. Every price is absolutely corresponding to the service we offer, and they are perfectly reasonable for the type of cleaning you want. 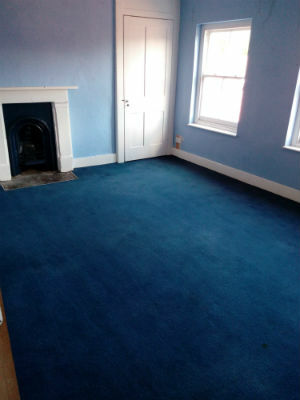 Our End of Tenancy Cleaning Services is the perfect service for you, because you don’t worry about cleaning this carpet, or removing the stains from the oven, or anything like that. We are the ones who worry, although this is our job and we will happily do it for you. We require only one thing from you – to contact us on our e-mail or with a phone call. You will be able to book us whenever you want, but hurry, because our phone line is one hell of a hot line. You might miss the chance to get your deposit back, because you waited too much for that exact call.